At Health Data Research UK, we're proud to collaborate with KQ Labs - an accelerator programme led by the Francis Crick Institute to support start-ups at the interface between biomedical and data science. 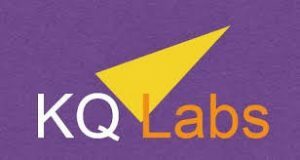 KQ Labs is an intensive accelerator programme offered to high-growth potential start-up teams in the area of data-driven biomedical science. To encourage the development and adoption of new, data-driven technology in biomedical science, Innovate UK has invested £400,000 in KQ Labs, an intensive accelerator programme offered to 10 high-growth potential start-up teams in data-driven biomedical science. Health Data Research UK and Genomics England are collaborating with the accelerator to guide the start-up companies on issues relating to data access.